Can Sustainable Bioeconomy be a Driver of Green Growth? 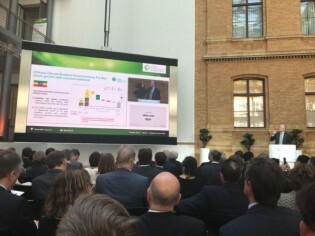 On April 19-20, I attended the second Global Bioeconomy Summit in Berlin. Bioeconomy is currently a hot topic for scientists and policymakers. Rapid advances in molecular biology combined with big data and artificial intelligence have resulted in big jumps in our understanding of living organisms as well as organic matter, the biomass produced by plants and animals, at the level of their DNA. That has gone hand in hand with technologies that allow scientists and industry to manipulate, easily, everything from enzymes to bacteria to plants and animals. Actions taken today in the pursuit of environmentally sustainable and socially inclusive growth path in India stand to benefit more than 17 percent of the world’s population. A sustainable future for India carries an impact for the subcontinent and the entire world. The world has seen tremendous economic growth over the last decades, which has led to poverty reduction and increased welfare for millions of people. Environmental sustainability and social inclusiveness are key to the resilience of these gains and continued growth. “Leaving no one behind” as we navigate a shift towards green economies must be woven throughout the growth and development agendas. Renewable energy became the cheapest form of electricity in 58 emerging economies last year. This year, the 11th Lazard’s Levelized Cost of Energy Analysis (LCOE 11.0) showed that solar and wind energy generation costs (at $46 to $53 per megawatt-hour of generation) easily beat coal and gas (at $60-68).